The L'Albane residence is located 200 meters from the center of Vars, a family-friendly resort in the Hautes Alpes, which nestles in a splendid larch forest, in the La Forêt Blanche ski area with its 180 kilometers of ski slopes. The residence features wooden architecture and offers functional, comfortable apartments with magnificent views of the forest and slopes. Its ideal location at the foot of the slopes allows you to slip your skis on as soon as you're over the threshold. A heated outdoor pool is available in the heart of the residence for relaxing after a day on the slopes. The resort's children's clubs are located very close by, 50 meters away, making this residence a prime location for family holidays. 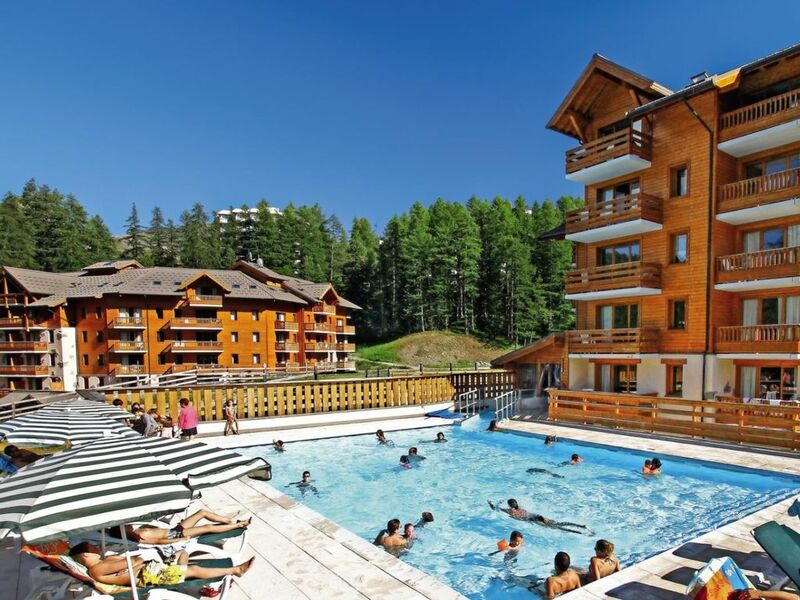 A nature-orientated, family-friendly resort in the La Forêt Blanche ski area. A ski-in, ski-out residence near the center and in the heart of a pine forest. Luxurious apartments and a heated outdoor pool. 1 living room, 1 sleeping alcove, 1 kitchenette, 1 bathroom and 1 toilet. 2 sofa beds and 1 sleeping alcove with 1 bunk bed. 1 bathub and 1 toilet. In the Southern Alps, Vars is situated at an altitude of 1850 m.
The resort combines the authenticity and charm of traditional villages with the comfort of a large winter sports resort. 180 km of varied pistes cater to both skiers and snowboarders, from beginner to advanced levels. Vars has a preserved environment.